Typhoon Mangkhut did not stop Lucky Bubbles from making the trip to Japan but now his assault on the Group One Sprinters Stakes is set to be affected by Typhoon Trami. 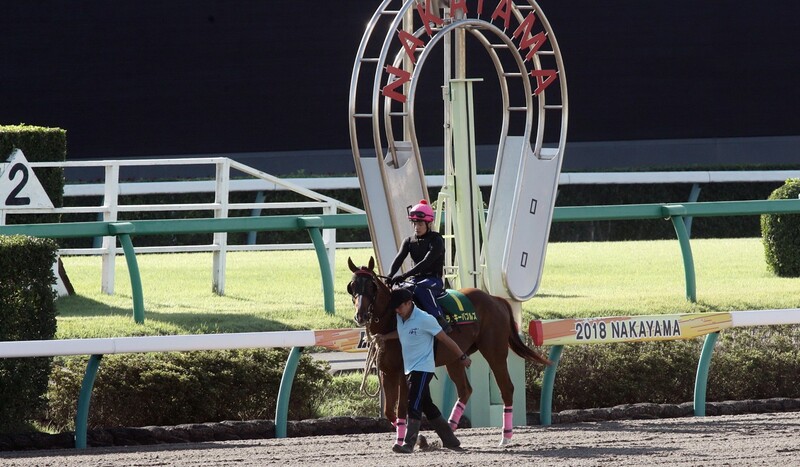 The seven-year-old endured the No 10 signal from Typhoon Mangkhut in his Sha Tin stable before flying to Tokyo last week, and while the race meeting at Nakayama is not in any real danger of being called off, heavy rain is forecast with Typhoon Trami on a path to strike southern Japan on Sunday. Whether that will improve or hinder Lucky Bubbles’ chances is a big unknown to trainer Francis Lui Kin-wai, given it has been four years since the gelding last raced on a soft surface. Timing can be everything and Lucky Bubbles was first given the opportunity to compete in the Sprinters Stakes in 2016 after his narrow second to Australian speedster Chautauqua in the Group One Chairman’s Sprint Prize but the trainer opted to stay home. The gelding returned to go one better in the Chairman’s Sprint Prize 12 months later, but he struggled to find his best form last season, which is why Lui decided to take the plunge and come to Japan now. “The [Japan Racing Association] asked me two years ago but we decided to prepare for all the big races in Hong Kong, at the time I was worried about the travel and how he would come back,” the trainer said. “Now, the Hong Kong sprinters are very strong and this is the chance we have to go and try a new world. Both Lui and jockey Brett Prebble were hoping for an inside draw but Lucky Bubbles has been handed barrier 14 for the 1,200m contest, which features the likes of Fine Needle, Red Falx, Let’s Go Donki and Nac Venus, who will be ridden by three-time Hong Kong champion jockey Joao Moreira. It’s a big weekend for Lui, who will saddle up four horses in three Group races across two countries in about 26 hours. After Sunday’s Sprinters Stakes, he has Born In China in the Group Three Celebration Cup (1,400m) at Sha Tin on Monday, alongside Jumbo Luck and Doctor Geoff in the Group Three National Day Cup (1,000m). Born In China has been racing in good fashion recently, finishing second in three of his past four starts, and has drawn perfectly in barrier three. Jumbo Luck won his only previous race down the Sha Tin straight and will carry just 113 pounds, but many were confused Doctor Geoff was entered for the sprint given he won over 1,800m two starts earlier, but Lui had a straightforward answer for that.